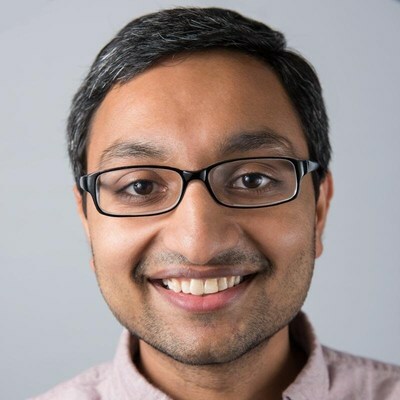 DENVER, April 17, 2019 /PRNewswire/ -- Galvanize, the leader in technology workforce education, announced today that Harsh Patel has been named CEO of Galvanize. Karl Maier also joins as Executive Chairman. Former CEO, Al Rosabal, will be stepping down as CEO after making key additions to the executive leadership team. "I have been impressed with Galvanize and the people across the organization since the beginning," said Harsh Patel, the company's newly named CEO. "Having been a part of the organization for nearly a year, and part of the code school industry for seven, I continue to believe that Galvanize is delivering the best possible education to students and creating community destinations - both on our physical and virtual campuses - that connect entrepreneurs, alumni, enterprise partners, and students. I am looking forward to leading the amazing team we have in place and continuing our reach and impact." An educator by trade and having served as CEO of Hack Reactor, Mr. Patel's expertise and leadership style will help take Galvanize to the next level. Mr. Patel is joined by Bill Cummings, the new executive vice president of Enterprise. Mr. Cummings recently joined the Galvanize team and was a former senior director at Cognizant and a founder of the Cognizant Digital Engineering business with experience in technology Go To Market, Strategy, Partnerships, and Enablement. In addition, Mr. Maier, who will serve as the new Executive Chairman, brings a proven track record leading high-performing global teams with expertise in finance, operations, transaction, and scaling businesses. The two, alongside Mr. Patel and the General Managers: Bill Blackstone, Caroline Esmurdoc, Diana Vowels, Emilie Kintner, Mike Huffstetler; are excited for the future ahead. "The board is grateful to Al for his steady leadership through a period of dynamic change for the company," said Tyler Newton, Partner with Catalyst Investors and Galvanize board member. "Al brought stability in the organization during a complex acquisition and integration. With Harsh, Bill, Karl, and several other key leaders, he leaves the company in a strong position to capitalize on the continuing demand for top technology talent as organizations digitize their businesses." Rosabal, a former technology company COO, was brought into Galvanize in early 2018 to lead the Company after the departure of its founding team. Rosabal stepped in during a critical time at Galvanize, raising $32 million and striking the acquisition of Hack Reactor, a highly-respected operator and peer of immersive coding programs. The acquisition brought growth in reach, impact, and geographic footprint as Rosabal's sales background helped spur additional growth in Galvanize Enterprise business line. Galvanize was founded in 2012 and is a leader in technology education working with 1,500+ employers and encompassing one of the largest alumni groups in the industry with 8,000+ graduates. Galvanize is a learning community for technology with nine physical and two remote campuses, across the U.S. where innovative startups, aspiring students, and large enterprises benefit from this dynamic, unique business ecosystem. Galvanize is backed by investors including, but not limited to, Catalyst Investors, ABS Capital Partners, University Ventures, New Markets Venture Partners, and Colorado Impact Fund. Learn more at galvanize.com.